One of the most important steps in preparing for your heart surgery is your preoperative evaluation. 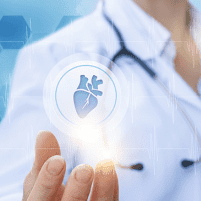 Your Healing Hearts Clinic provider in Conroe, The Woodlands, or Huntsville, Texas, performs a careful and thorough evaluation ahead of your surgery to make sure that you’re ready for the next step in your journey to heart health. If you have questions or concerns about your pending surgery, contact Healing Hearts Clinic by phone or using the online tool. What is a preoperative evaluation? A preoperative evaluation is an opportunity to make sure that you’re a good candidate for a scheduled heart procedure at Healing Hearts Clinic or in a hospital setting. Before your cardiologist schedules your surgery, they assess your risk, but a preoperative evaluation is a chance to double-check and make sure that changes aren’t necessary. What happens during a preoperative evaluation? During a preoperative evaluation, your cardiology care provider reviews your history of heart problems, your past treatments, and your current medications. Additionally, your cardiology care provider typically performs some type of preoperative testing. Usually, these tests simply verify the presence of a heart problem and, therefore, the need for surgery. If there are changes, positive or negative, in your heart condition since your previous test, your cardiologist may reconsider scheduling heart surgery at this time. At Healing Hearts Clinic, your cardiology care provider’s main goal is to make sure that you’re healthy enough for surgery and that it’s the right treatment for you at that time. Your health always comes first. What if my evaluation shows I need emergency surgery? If this happens, your cardiologist typically proceeds to the hospital and schedules the emergency surgery right away. Although this is rare, heart conditions are sometimes unpredictable and it may be necessary to address certain problems immediately for your safety. How does a preoperative evaluation help me prepare for surgery? Your cardiology care team at Healing Hearts Clinic is here to help you prepare for heart surgery in the safest and most efficient way. You’ll have a chance to ask questions, get additional information, and relieve any concerns that you may have during your preoperative evaluation. Contact them by phone or online today.